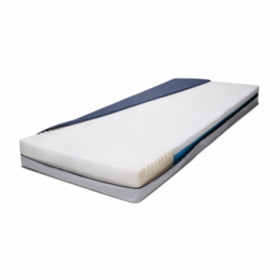 Our long-term hospital mattresses are ideal for the most vulnerable and high-risk patients, offering premium support and comfort with specialized technology. 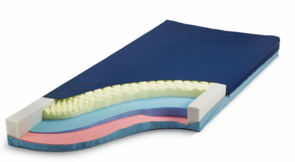 These mattresses are designed to give the maximum possible pressure relief, utilizing multi-density foam layers for superior weight redistribution. Each has sturdier, more firm perimeter construction, with optional raised bolsters. 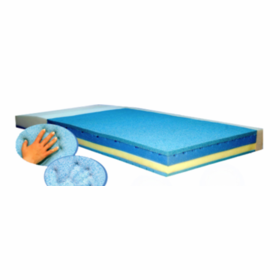 Each comes with a fluid-resistant, anti-microbial top cover and vinyl bottom cover. 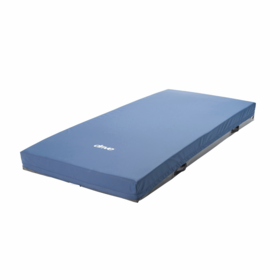 Designed to meet Medicare HCPCS code E0184, these mattresses provide the ultimate relief for long-term incapacity.